In November 2015, Rhonda was diagnosed with Stage 3 ovarian cancer. She went through several surgeries, 16 rounds of chemotherapy and spent more than two months in the hospital. She is currently in remission and is participating in a trial immunotherapy study. 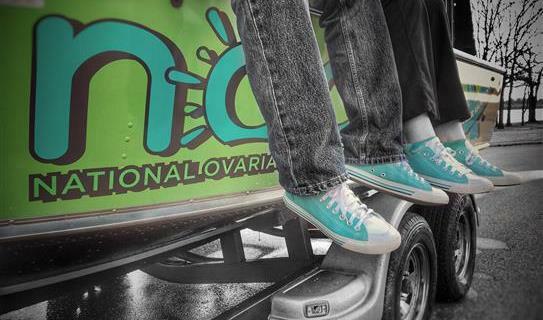 Today, Team Reeve is transforming its boat into a “moving billboard” for ovarian cancer awareness. Team Reeve will use every opportunity to talk about this cancer and its early warning signs and symptoms. 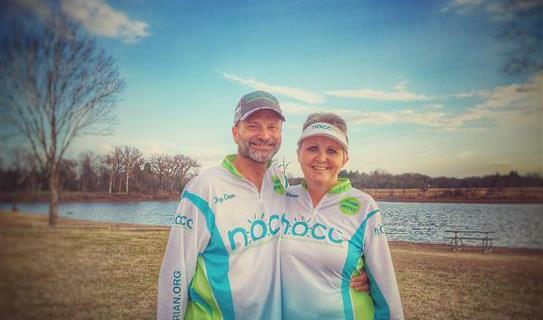 Every angler, male or female, has a role in fighting ovarian cancer! Each angler has a mom, a wife, a daughter, a granddaughter or a neighbor that may need this knowledge to save their life! With Action There is HOPE. In honor of my TEAL sister and her incredible caregiver. You both rock. Praying for quick and complete healing for you, Rhonda! Shirley and I love and support you and Jay Don. 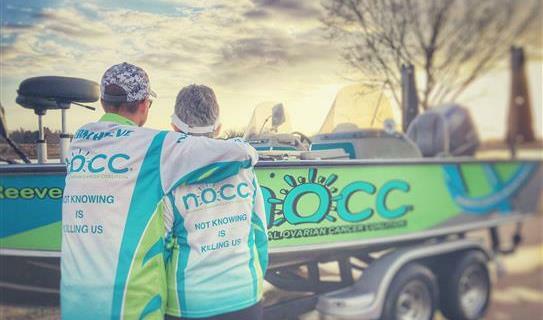 Rhonda, the BnM Pro Staff is behind you 100% supporting NOCC! 63. TCTeague Chevrolet Buick Inc. Thanks for all you do! Go Team Reeve! One time please! You can put Jigum Jigs on the boat .